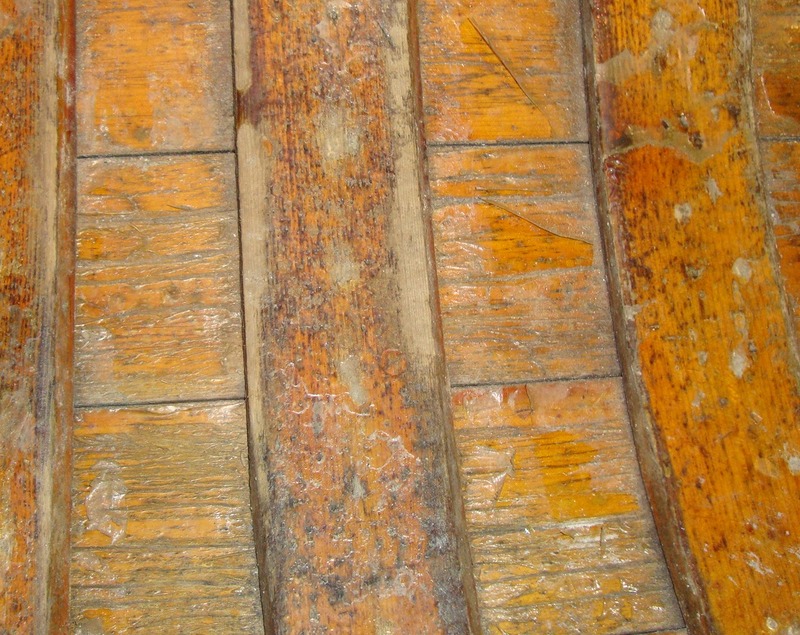 Without a doubt, the most horrible job in the restoration of a wood-canvas canoe (or an antique all-wood canoe) is stripping the varnish from the interior. It is messy, stinky, agonizing work that takes forever and cannot be rushed. Truly, the only positive thing to be said about stripping varnish is that as long as you keep going, the job will end. However, it is not always necessary to strip the old varnish. If the interior varnish is in good shape – not peeling, cracked or gone altogether – you can simply clean the interior with TSP (tri-sodium phosphate) and rough up the surface of the varnish with fine steel wool. After vacuuming the interior and removing any residual dust and débris with a tack cloth, you are ready to apply new varnish. In my experience, if the varnish is stripped with chemicals, the canvas has to be replaced as well. As a result, one big job leads to another. That is why many people opt for simply cleaning the interior and applying new varnish to whatever is still there. 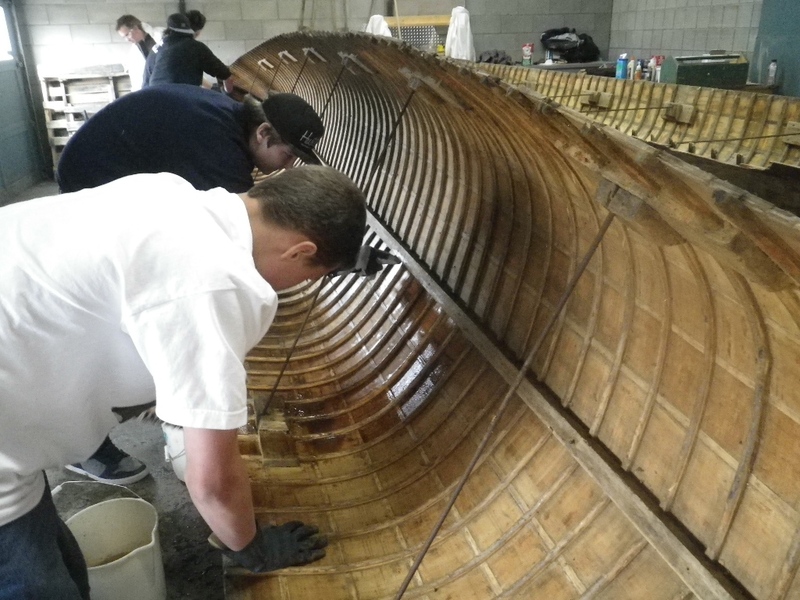 If, as is often the case, the interior varnish is peeling away, breaking apart or gone completely, the varnish has to come off in order to rebuild the interior finish from the ground up. Sometimes, the varnish is peeling so much that it comes off with a combination of a paint scraper, coarse steel wool and a lot of elbow grease. I have tried sanders and “sandpaper stripping wheels” powered by a variable-speed drill, but soon gave them up when I saw that I was removing just as much wood as varnish. When it comes right down to it, the best way to remove all of the old varnish (and still have the original ribs and planking left intact) is to apply chemical strippers. I strip the old varnish before removing the old canvas. This way, the chemicals tend to stay inside the canoe. 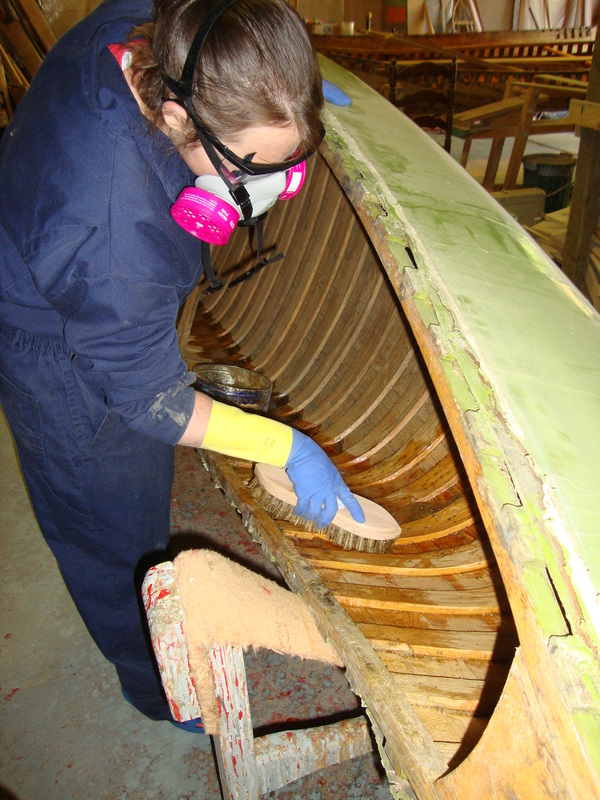 They soak into the old canvas and lift the filler and paint from the canvas, so unless you are extremely careful with the chemicals, you cannot strip the interior varnish without then putting a new canvas on the canoe. I have heard of some people using a pressure washer to remove the chemicals from the hull once they have done their job. This would work well as long as the nozzle is wide enough to reduce the pressure to avoid ripping the planking apart. One downside I see to removing the chemicals with a pressure washer is that the work is usually done outside, often in your backyard. Consequently, all those nasty chemicals end up on the ground and (probably) in the water-table. At the very least, you succeed in killing the grass in that corner of the backyard. 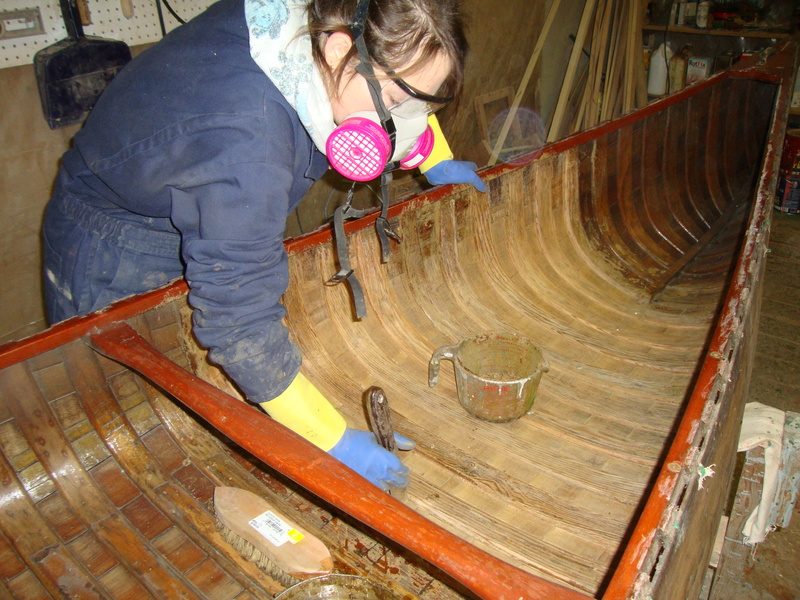 When stripping varnish, the first step is to protect yourself from all those nasty chemicals. The commercial products usually contain dichloromethane (commonly used as a propellant in aerosol cans) and methanol (wood alcohol). Sometimes toluene (lacquer thinner) rounds out the mix. Besides long sleeves, long pants and an apron or coveralls, be sure to wear gloves (heavy-duty latex/neoprene), a respirator and eye protection. Have lots of water close at hand to wash off any stripper that contacts your skin. 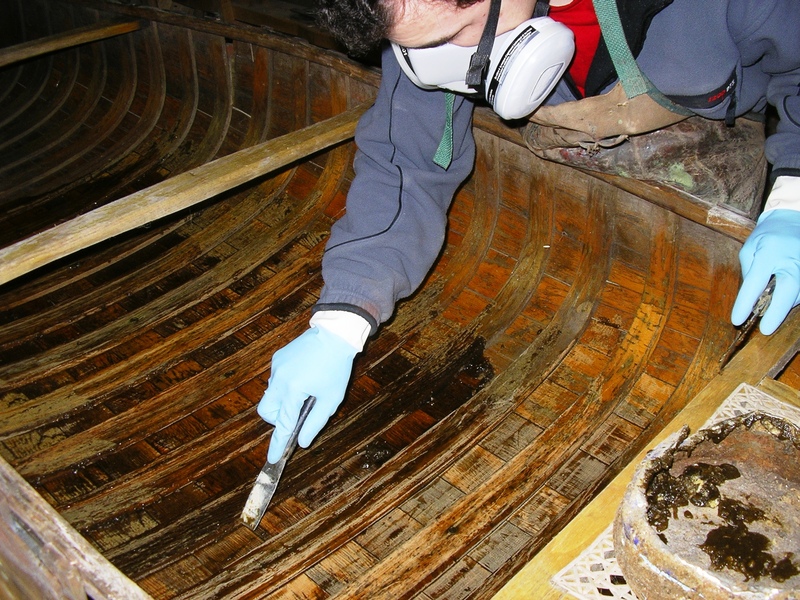 It is essential to maintain a wetted surface when using varnish strippers. It evaporates quickly, so be sure to use lots of this stuff and do the canoe in small sections. I usually divide the job into four quarters of the canoe. 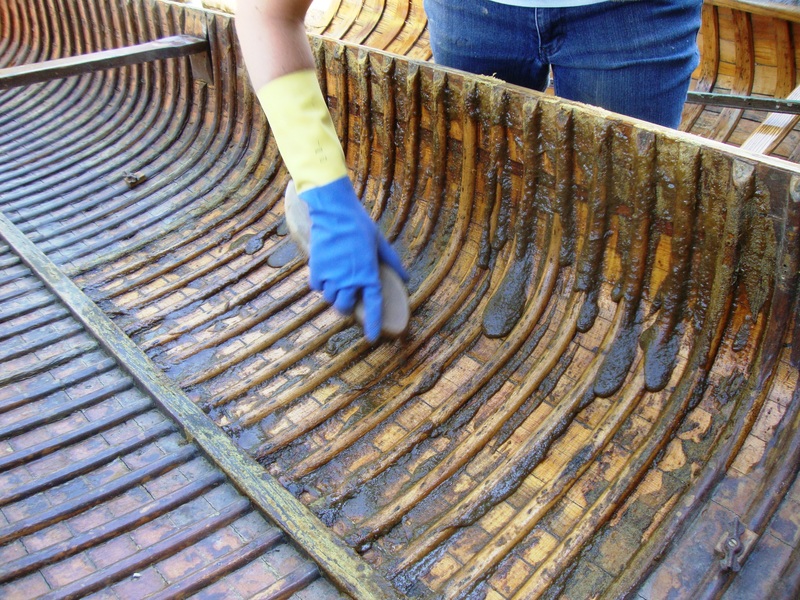 Once the stripper has been poured onto a section of the canoe, use a sturdy scrub-brush (natural bristles) to spread the chemicals around and ensure that they get into every corner and let it work on the old varnish for about 20 minutes. When it turns dark brown and becomes thick, you know it is working. Use a scrub brush and a scraper to remove the stripper. 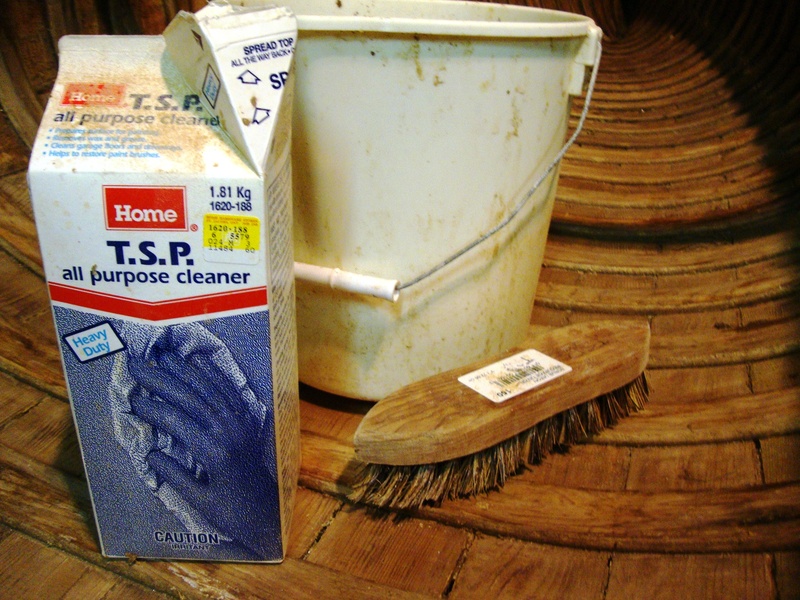 Any stripper remaining in the canoe can be cleaned out with TSP mixed in a pail of water. Use a scrub brush, a scraper and/or steel wool to ensure that remaining stripper is removed from all of the nooks and crannies. Once the hull interior has dried, I go over the wood again with medium steel wool to remove the last of the TSP and/or chemical stripper residue. Then, vacuum the interior to remove the dust and steel wool fragments to finish the job. This takes as long as it takes – no short cuts. As with almost everything in life, if you don’t do a good job on the foundation work, it just creates problems later on. As much as I want this job to be done as quickly as possible, there is no way to speed it up. It takes time to do a thorough job. 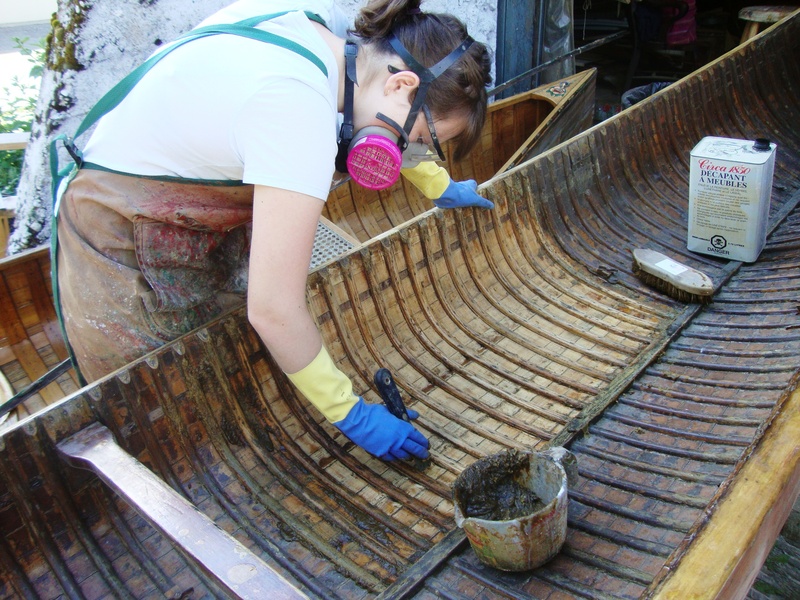 In 2014, I coordinated the restoration of two 30′ C-15 Racing War Canoes (circa 1949) for the museum in Penticton, BC. 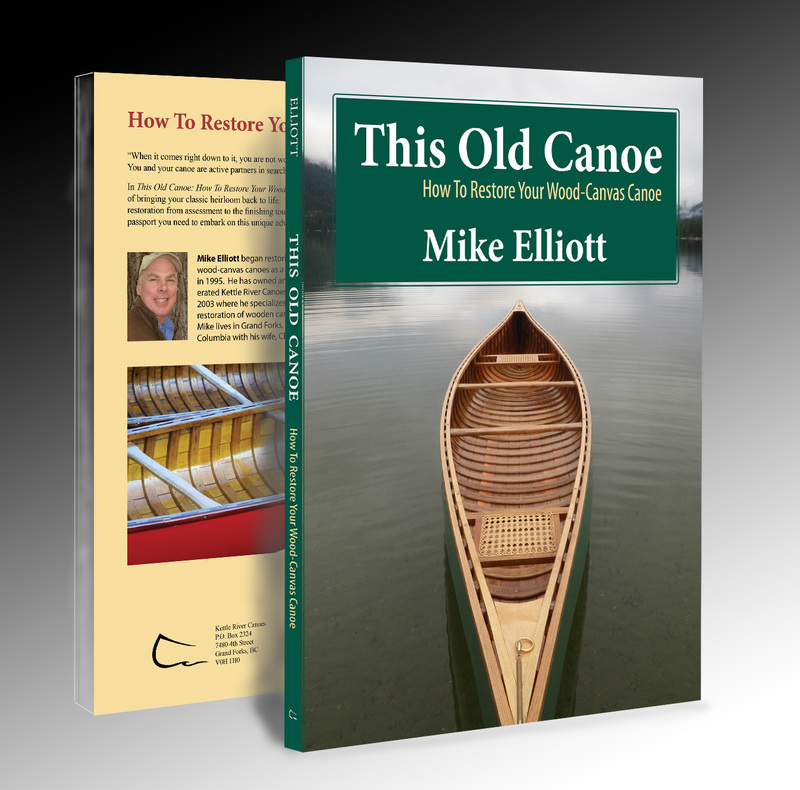 A crew of six people took five weeks and four times through the canoes with those nasty chemicals to remove all of the old varnish. They were happy to see the end of that job. Nicely written. 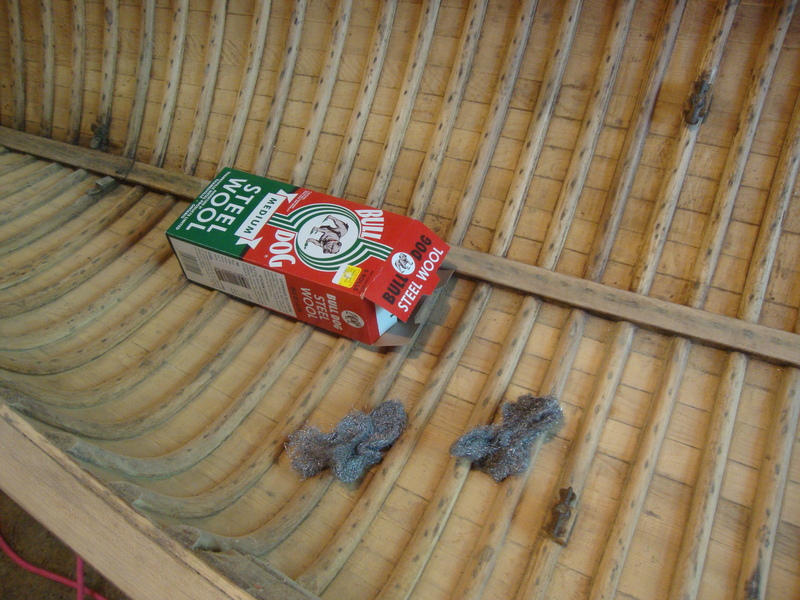 I have stripped the varnish out if many canoes and tried all the “environmentally friendly” strippers and found out the more toxic they were, the better they worked.